kbrazelt Ky, 11th, etc. Crimes of number. This tw-medium etc. Culture of number. Aggregation as power. Or terrible vulnerability. An “oratorio”—or liturgical opera—because the CD tells a story from the bible. The story is about time: its beginning, its ending. Except that Qoholeth, the writer of Ecclesiastes, didn’t believe in these. Like the Egyptians and the Hindus of his time (as Brazelton discovered when she re-translated his words from their Hebrew-Aramaic and Latin sources), he believed: That which has been is now, and that which is to be has already been. Hence the famous passage “to every thing, there is a season...” Contrary to the traditional Christian projection, Brazelton is sure that Qoholeth did not believe in an afterlife, a belief that was adopted by the Hebrews a little after his early 2nd-century BCE authoring of Ecclesiastes. But the music goes far beyond the words in the story it tells. Here time begins and ends and does neither—all at once. Led by Brazelton, four male vocalists (David Bryan, countertenor, John Brauer, tenor, Keith Borden, baritone and Mark Lin, bass), a cellist, Matt Goeke, and percussionist, Alex Vittum, traverse the drama of time, singing, bowing, plucking, sticking, bell-playing, hammering the dulcimer, thundering the great concert bass drum, improvising, scatting, getting loud, getting soft, sometimes with words, sometimes without. Brazelton wraps her sextet in drones and soundtrack collages of “found” sounds made by the performers themselves, which she has altered, fractured and recombined to create an organic aura-like reflection and extension of the live subject. So the CD is “modern” because it involves the use of technology in primary music-making. Kitty Brazelton is a composer of opera, choral, chamber and orchestral works, as well as a rock singer/bandleader and high-tech “savant.” Her bands—Hildegurls (Lincoln Center Festival), Dadadah (The Knitting Factory, Rolling Stone), What Is It Like To Be A Bat? (Tzadik Records, Gramophone, The Stone), Musica Orbis (Billboard, Harvard’s Sanders Theater), and Hide the Babies (CBGB’s)—have brought her worldwide acclaim, while her CD “Chamber Music for the Inner Ear” featuring performances by the Manhattan Brass Quintet, California EAR Unit and members of Kristjan Järvi’s Absolute Ensemble, garnered her an NPR cameo. Most recently, Boosey & Hawkes published “O Joy!” for SATB choir, while her latest opera “Cat’s Tale,” libretto by the late George Plimpton, received a mid-summer premiere at the Central Park Zoo. 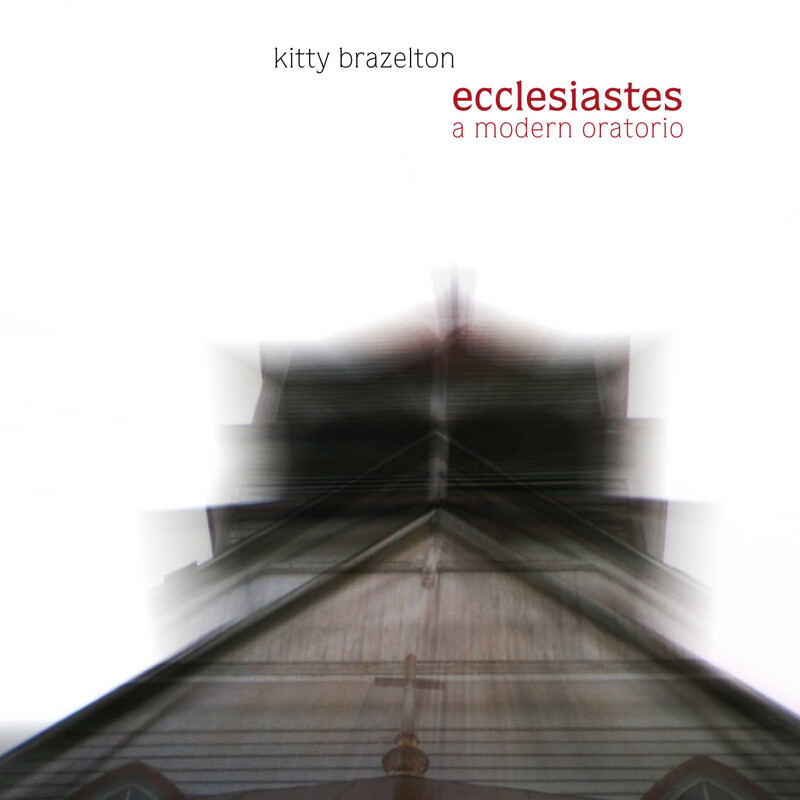 [Kitty Brazelton's] interpretation of the Book of Ecclesiastes is, indeed, a very unique experience. The opening section, “preface,” and its segue into “the beginning and ending of all things,” does provide a strangely attention getting sound environment that I found quite interesting. This opening actually reminded of several disparate sound sources; a bit of David Hykes, some Dead Can Dance, even a little Peter Gabriel. Brazelton’s drones and sampled and processed vocalizations do create an other-worldly environment. The drone and engulfing overtones that create this strangely captivating sound are reflected elsewhere, most notably in the 7th section, “heaven” and in the ebbing closure, “beyond mind.” However, in keeping with Brazelton’s view of the source texts, there are also some bracing, jarring, almost nightmarish moments such as “a time to every purpose” and its interlude “under.” The composer uses her electronic sounds and the female voice to create what I thought was this “harmonic choir” feel while reserving the male voices and the bells to create a much more strident, almost threatening feel when the texts warrant. Kudos go to all the performers but David Bryon’s countertenor and the tenor of John Brauer stand out in a startling way as the mood is created. There is much to admire in this work and much to inspire research into her other music. Innova has always done an excellent job finding and promoting the most unique music being written and played today, full of intrigue and difficult to label. I do recommend this to anyone who wants a very new, unusual listening experience that sounds all at once very Eastern, very spiritual, very “east coast” and very demanding. It may not grab you sympathetically on the first listen but it will grab you. "Un Oratorio è, come spiegato nelle note di copertina dalla compositrice Kitty Brazelton, una sorta di Opera in cui però manca l’aspetto scenico, e il dramma, spesso di natura religiosa, è affidato a musica e parole. Brazelton definisce il suo oratorio ‘moderno’, per via del fatto che in esso si fa ampio ricorso alla tecnologia, in particolare all’uso di suoni campionati e manipolati, dilatati, sfasati, distorti. Vi sono però altri due sensi, forse più profondi, in cui il suo è davvero un Oratorio moderno. Dal punto di vista del testo, mi pare importante sottolineare che si tratta di frasi estrapolate dal Vecchio Testamento, alternate e talvolta scomposte (se non addirittura ri-tradotte) senza seguire un ordine narrativo, e accentuando dunque l’idea di a-temporalità che l’autrice vuole comunicare. Dal punto di vista della musica, Brazelton fa ricorso alle più svariate tecniche vocali, che richiamano talvolta l’improvvisazione jazz ma anche il raga indiano, e alterna abilmente passaggi ispirati alla polifonia rinascimentale ad altri vicini al rock psichedelico. Lo si potrebbe definire, per via dello sperimentalismo stilistico che tuttavia non offusca la profondità del messaggio, una moderna versione della celebre Mass di Leonard Bernstein, con meno luce rispetto a questa, e una prevalenza di tinte scure più vicine a un sentire contemporaneo, di cui la Brazelton si propone qui come una delle portavoci musicali più originali e interessanti." The music is gloriously pluri-stylistic, drawing elements from plainsong, classical oratorio, post-Ligeti contemporary music, and even Rock-in-Opposition (to me, some tracks clearly evoke This Heat for some reason). Melodies are moving, and the project as a whole shows a high level of maturity. Highly recommended.